Raleigh (/ˈrɑːli/; RAH-lee) is the capital of the state of North Carolina as well as the seat of Wake County. Raleigh is known as the "City of Oaks" for its many oak trees, which line the streets in the heart of the city. 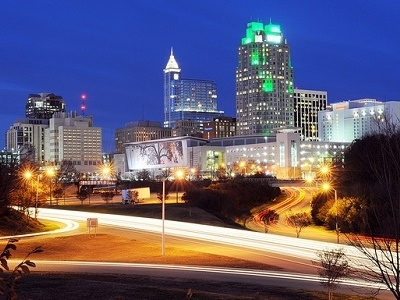 According to the U.S. Census Bureau, the city's 2012 estimated population was 423,179, over an area of 142.8 square miles (370 km Sq), making Raleigh currently the 42nd most populous city in the United States. It is also one of the fastest-growing cities in the country. The city of Raleigh is named after Sir Walter Raleigh, who established the lost Roanoke Colony on Roanoke Island in present-day Dare County, North Carolina. Bath the oldest town in North Carolina was the first nominal capital from 1705 until 1722, when Edenton took over the role, but the colony had no permanent institutions of government until their establishment at the new capital New Bern in 1743. In December 1770, Joel Lane successfully petitioned the North Carolina General Assembly to create a new county. On January 5, 1771, the bill creating Wake County was passed in the General Assembly. The county was formed from portions of Cumberland, Orange, and Johnston counties. The county gets its name from Margaret Wake Tryon, the wife of Governor William Tryon. The first county seat was Bloomsbury. New Bern, a port town 35 miles from the Atlantic Ocean, was the largest city and the capital of North Carolina during the American Revolution. When the British Army laid siege to the city, governing from that location on the wide Neuse River became infeasible. In 1808, Andrew Johnson, the nation’s 17th President, was born at Casso’s Inn in Raleigh. The city's first water supply network was completed in 1818, although due to system failures the project was abandoned. 1819 saw the arrival of Raleigh's first volunteer fire company, followed in 1821 by a full-time fire company. According to the United States Census Bureau, Raleigh occupies a total area of 115.6 square miles (299 km Sq), of which 114.6 square miles (297 km Sq) is dry land and 1.0 square mile (2.6 km Sq) (0.84%) is covered by water. The Time Warner Cable Music Pavilion at Walnut Creek hosts major international touring acts. 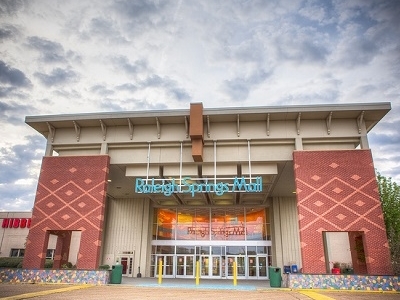 In 2011, the Downtown Raleigh Amphitheater opened (now sponsored as the Red Hat Amphitheater), which hosts numerous concerts primarily in the summer months. An additional amphitheater sits on the grounds of the North Carolina Museum of Art, which hosts a summer concert series and outdoor movies. Nearby Cary is home to the Koka Booth Amphitheatre which hosts additional summer concerts and outdoor movies, and serves as the venue for regularly scheduled outdoor concerts by the North Carolina Symphony based in Raleigh. During the North Carolina State Fair, Dorton Arena hosts headline acts. The private Lincoln Theatre is one of several clubs in downtown Raleigh that schedules many concerts throughout the year in multiple formats (rock, pop, country). Raleigh, United States References 1 No Reviews Yet. Here's the our members favorite photos of "Cities in North Carolina". 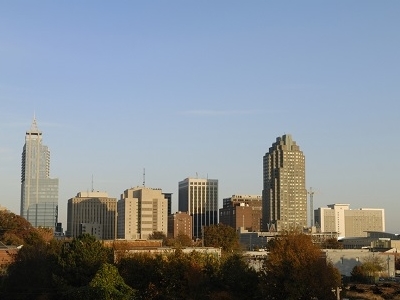 Upload your photo of Raleigh!